3. 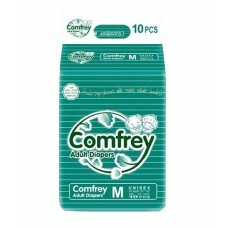 Refasten able Tapes - The comfrey diapers have two pairs of refasten-able tapes good for multiple times of tape application and good fit. Also it has a frontal sheet with landing guide for repeated adjustments. 5. 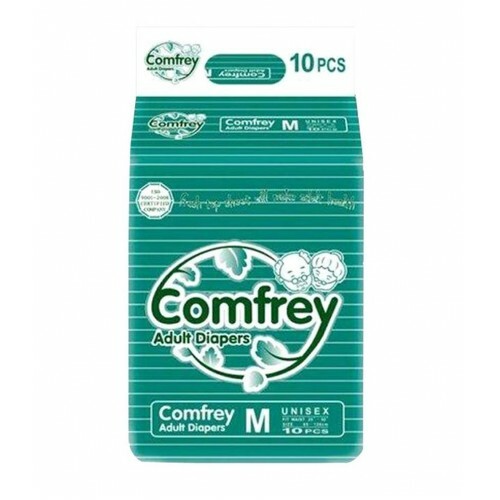 Light in weight, no odors, no leaks, no soar - The comfrey adult diapers are light in weight and minimally perfumed to avoid odors. The standing inner leak guards ensure that there is no leakage thus eliminating chance of Bed soares and rashes.